An Industry Insider Explains How to Save Thousands on Your Mortgage or Re-Finance. Mortgage Rip-offs and Money Savers reveals how the mortgage industry cheats borrowers out of billions in extra costs every year. Quick Answers to Over 250 Critical Questions About Your Home Loan. 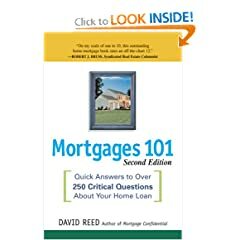 Mortgages 101 provides readers with essential lending formulas, as well as important information on lending requirements and application procedures. Sell Your Property up to 70% Faster. 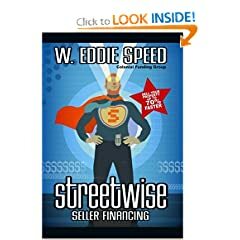 Streetwise Seller Financing is designed as a complete guide to the entire process of seller financing real estate. 77 Secrets That Will Save You Thousands on Home Financing. Realtor Ralph Roberts and mortgage consultant Chip Cummings take aim at the 77 mortgage myths that prevent so many would-be homeowners and real estate investors from pursuing their dreams of homeownership. What You Need to Know That Your Lender Won't Tell You. 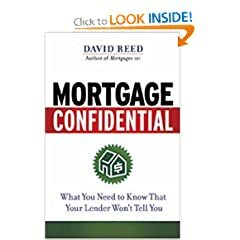 An insider's look at the mortgage process for anyone concerned with getting the best deal (and not being taken advantage of) while financing their home.